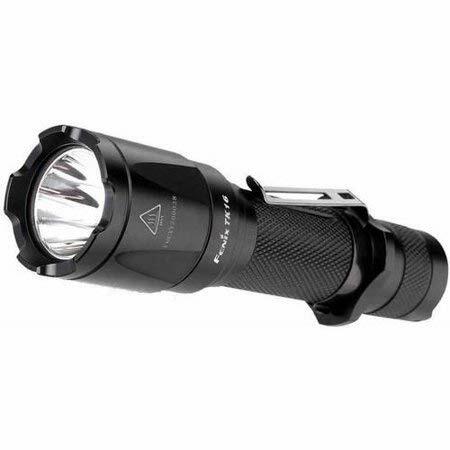 The Fenix tk16 flashlight is durably constructed from durable aircraft grade aluminum body. It has a premium type III hard anodized anti-abrasive finish. In addition, the tactical flashlight has a dual spring design for better impact resistance and more ideal for flat-head batteries. The anti-roll and slip resistant body makes it to be ideal for tactical use. The Fenix TK16 rechargeable flashlight has a toughened ultra clear glass lens with anti-reflective coating that prevents the led bulb from being damaged. The Fenix TK16 flashlight is compact and lightweight for simple use and storage. You can use the pocket clip or lanyard to keep it securely when not in use. Read this Fenix tk16 review to know more why I am recommending this tactical flashlight. With tons and tons of flashlights on the market, choosing the best come sometimes be a tricky task. This is because there are different brands and models of flashlights. They differ in features and usage, too. Select a flashlight that meets your needs and the environment that you usually operate in. For instance, if you are an angler, you need a flashlight that is water resistance just in case of rain or when you need to swim. Fenix is a brand that is famously known for its quality flashlights. Started many years ago, Fenix offers some of the top flashlights with outstanding features. If you’re looking for a tactical flashlight, then it’s great to consider acquiring it from fenix. In this review, we are going to look at the Fenix tk16 led rechargeable light. This is an upgrade of the Fenix tk15 flashlight. You can also check other version like fenix e12 or fenix uc35 flashlight. 3 Why buy Tactical flashlight like the Fenix TK16? Operating the fenix tk16 led light is very easy and quick. It has a dual tactical switch. The first switch is the tactical tail switch for momentary-on function. This is held for it to light on/off. The second switch is the tail mode switch. This is also referred to as the strobe switch. It is as well used for cycling the different light modes and the strobe mode. Use it to select low, medium, high, and turbo mode. The low mode uses 10 lumens and runs for 150 hours, the medium mode uses 150 lumens and runs for 10 hours, the high mode uses 400 lumens and runs for 3 hr 25 minutes, while the turbo mode uses 1000 lumens and runs for 1 hr 10 minutes. Why buy Tactical flashlight like the Fenix TK16? 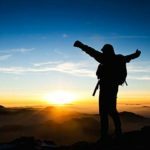 Outdoor enthusiasts and flashlight lovers know the importance of having a sturdily built and reliable light. If you have ever hit your foot to a raised pavement or meet a thug as you return late from work, then you know how crucial it is to have a flashlight. A quality flashlight with bright light will ensure that you arrive home safely without hitting your foot or disorienting a thug as you take off. So, you should ensure that you have a flashlight with you always. If you’ve been looking for a tactical light for use outdoor, in the backyard, for camping or even hunting reasons, the feni tk16 1000 lumen flashlight is the best. The flashlight has the ability to resists impact of up to 1 meter. For the many years that I’ve been using this light, it has fallen on the floor in my garage several times but it still functions exceptionally. Furthermore, the light has a waterproof rating of IPX-8. This implies that it can be used underwater up to 2 meters for 30 minutes. So, you can use the rechargeable flashlight to dive in water or in heavy rainfall, and it will still function very well. Fenix tk16 flashlight is safe to use unlike some other tactical lights. The flashlight has different safety features that make it to be durable and reliable. First is the low voltage warning feature. This feature enables you to know when the flashlight needs to be recharged or what percentage of the battery is remaining. In addition, it has a reverse polarity protection. It prevents the battery from being inserted wrongly in the battery compartment. And finally, there is the digitally regulated output that maintains constant brightness. Also, the light comes with a striking face bezel. This can allow the user to break glass or hit a thug with it. After buying this flashlight, the Fenix lighting Company offers a limited lifetime guarantee to the buyer. Included in the flashlight bundle are: holster, pocket clip, lanyard, spare rubber boot, spare o-ring, instruction sheet, and two LegionArms CR 123 lithium batteries. Switching on/off the flashlight is a bit challenging as it needs one to hold the button for sometime before it lights on/off. 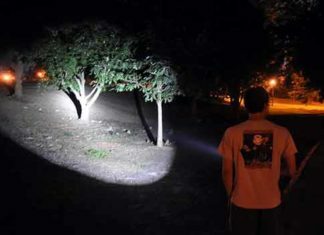 A flashlight is an essential tool that should be able to work in all kinds of situations. That’s what you get when you acquire the Fenix tk16 led flashlight. 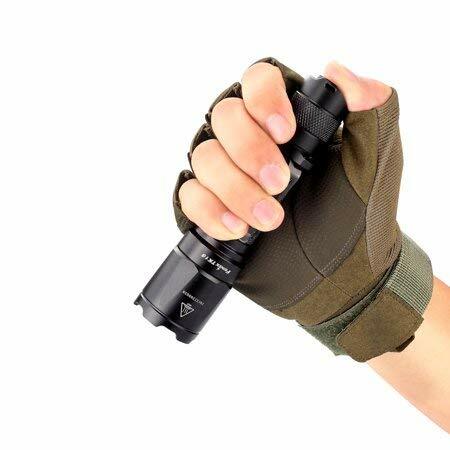 This flashlight is sturdily built for outdoor and tactical use. It offers very bright light and reaches a distance of 240 meters, which is enough to spot the game that you’re hunting. It lowest light mode is still bright enough and can allow you utilize the light for at least 150 hours. These and many other features make this flashlight to be exceptional and reliable for use in rain and in other harsh conditions. Also, the brand is reliable and the rechargeable flashlight is offered at a great price. I hope this Fenix TK16 review article will be useful for you.